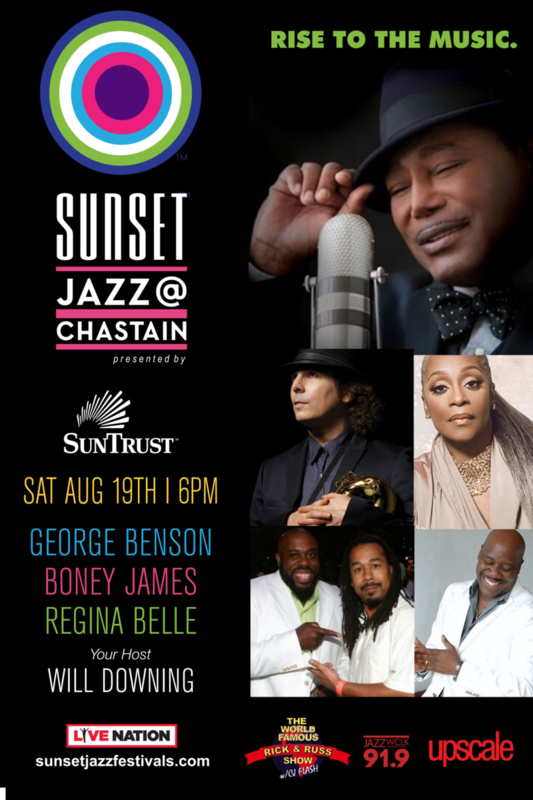 Rivablue, host, Midday Jazz talked with Jazz Legend George Benson about his appearance Saturday night, August 19, as part of the Sunset Jazz Festival at Chastain Park Amphitheatre. On the bill with George is: Boney James, Regina Belle and Will Downing who doubles as host. The Sunset Jazz Festival begins at 6:00 p.m. Ticket information can be found by clicking here. Rivablue talks with George Benson on Midday Jazz on WCLK.